The Christmas season is in full swing at Disney World! If you plan to visit for the Christmas holidays, then make sure you know about all the special celebrations and activities that you can partake in while you are there. Most are included with your park admission, but some require a separate ticket. Make sure to plan out in advance so that you can see everything that interests you. 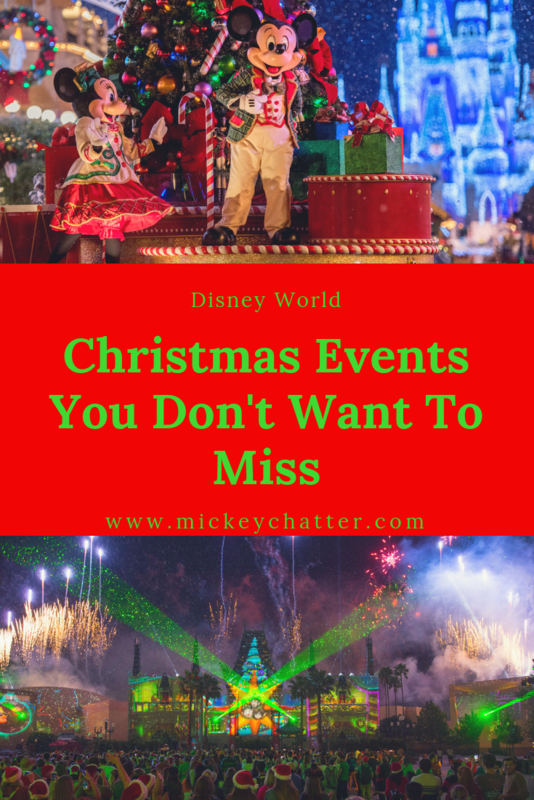 This is probably the biggest celebration in all of Disney World for Christmas. It is a hard-ticketed event, which means you need to purchase an event ticket for it. The cost ranges between $90 and $125, depending on the date you choose. It runs about 4 times a week, so there are lots of opportunity to attend during a week. It is held at the Magic Kingdom and the party runs from 7 PM to 12 AM. Even though the party starts at 7 PM, you are able to enter the park with your party ticket as of 4 PM and take in what the Magic Kingdom has to offer before the festivities begin. During the party you will get to take part in a bunch of special Christmas celebrations. You’ll get to meet characters (and some rare ones too) in their holiday costumes. They put on a special Christmas parade, castle show and fireworks show. There are also fun dance parties and you’ll get to see it snow on Main Street. One of the best parts is that you get to enjoy unlimited cookies and hot chocolate! If you would like to purchase tickets to this event, you can contact our friends over at Click the Mouse. This event is held at Hollywood Studios and it replaces the Star Wars Galactic Spectacular that they usually run nightly on the Chinese Theater. It is included with park admission and is quite the sight to see. 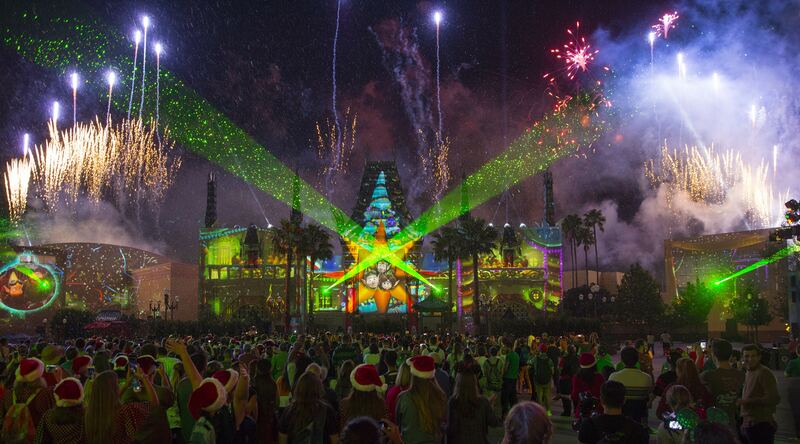 This show features holiday music, fireworks, special effects and state-of-the-art projections on the Chinese Theater. This show is sure to get you in the holiday spirit! It usually runs a half hour apart from Fantasmic, which means that you’ll have to choose one or the other. Unfortunately, the way they time the shows, means that you cannot do both on the same night. This show runs at Hollywood Studios nightly and on a continuous basis. There are several opportunities per night to see it and each time the show is a bit different. You’ll find this show on Sunset Boulevard with the Tower of Terror being the main focus. 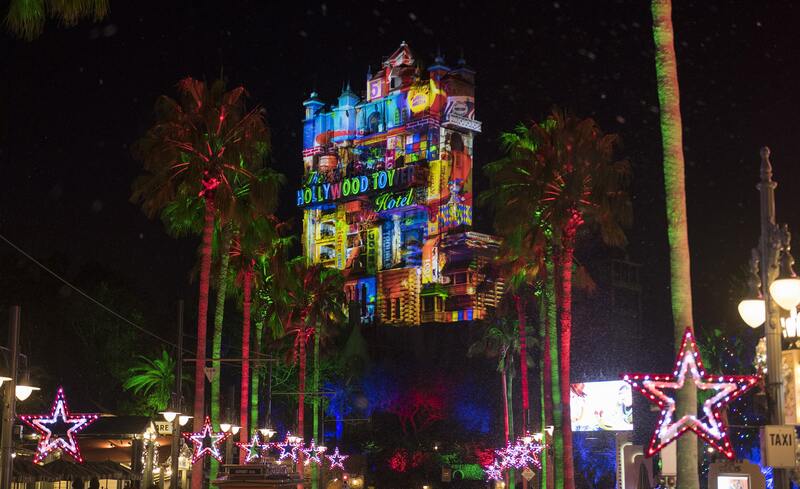 You’ll get to see colorful projections on the Tower of Terror while the entire boulevard turns in to a celebration. You’ll also be treated to “snow”! You’ll find this festival at Epcot and it is included with park admission. It runs from November 18th to December 30th. 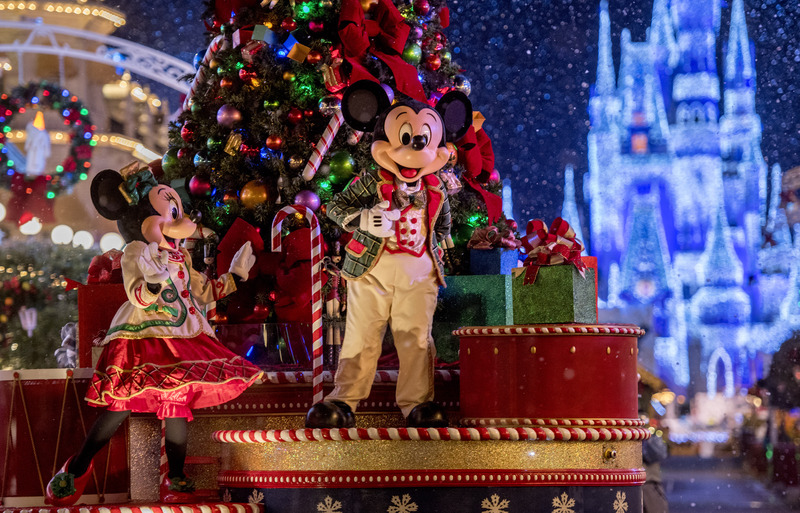 In this festival you will find costumed performers around World Showcase, holiday kitchens where you can sample seasonal recipes ($), a scavenger hunt featuring Chip n’ Dale, the Candlelight Processional and a special version of Illuminations. The Candlelight Processional runs 3 times per night daily from November 22 to December 30 at the America Gardens Theater. It features celebrity narrators that tell the story of Jesus. They are accompanied by a 50-piece orchestra and an amazing choir. There is a variety of narrators performing this year including John Stamos, Neil Patrick Harris, Helen Hunt, Pat Sajak, Whoopi Goldberg, and tons more! This activity is completely free and requires no admission! 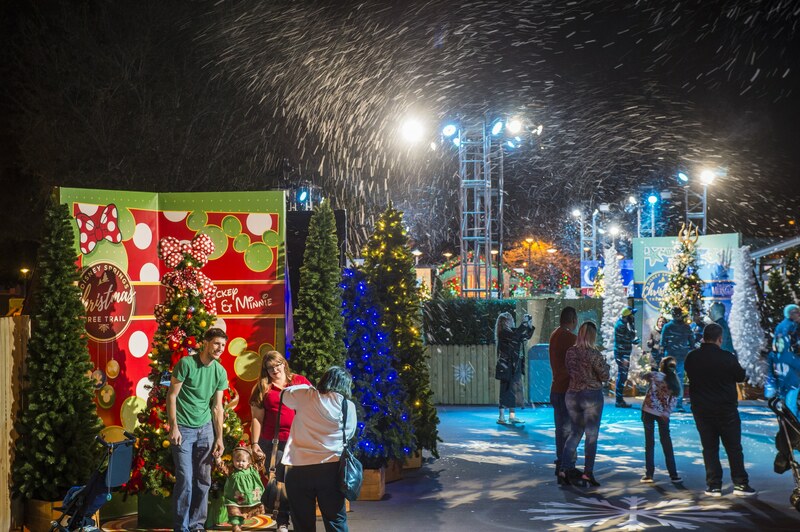 It’s held at Disney Springs where you will get to walk a trail and view 27 holiday trees. The trees are decorated in a Disney theme and each one is themed differently. It really gets you in the holiday spirit and these trees make an amazing photo opportunity. On November 14th they kicked off the grand opening of the holiday Gingerbread House at the Grand Floridian. You can smell the gingerbread when you walk in the lobby and it is quite the sight to see. No admission is required and anyone is welcome to visit the resort to view the gingerbread house. 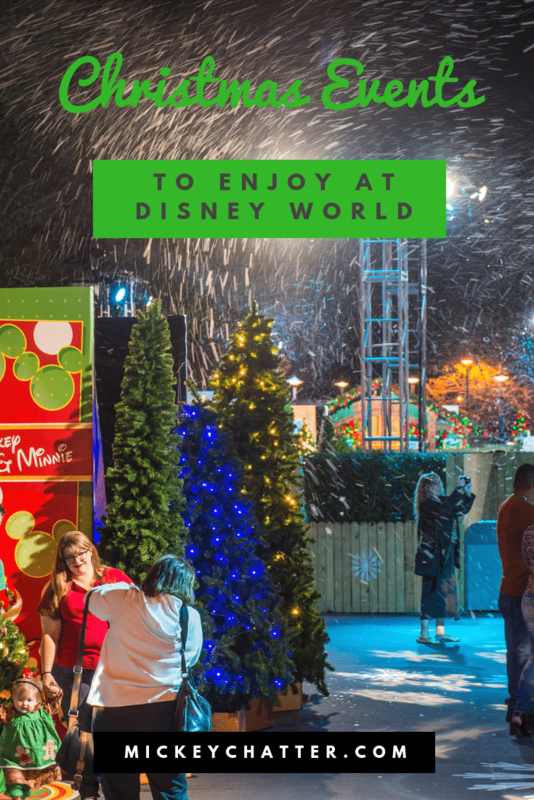 Will you be celebrating the holidays this year with a visit to Disney World? If so, what celebrations are you most looking forward to? Tell us in the comments below!